Aussieraces.com is an innovator in Australian thoroughbred horse racing. We have developed advanced selection methodologies aimed at pinpointing winners and making racing profitable. 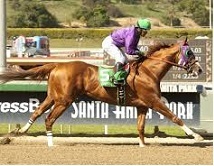 Aussieraces.com is also a leader in horse racing research which we supply to major corporations in the industry. Our roots go back to the late 1980’s when our chief racing analyst Mark Hall was employed by the Victorian TAB to conduct market research and to design new bet types (See the story of the Quadrella). In the 1990’s he developed Phoneform, a phone based racing information service. In the first few months Phoneform's 'Bet of the day' won for nine Saturdays in a row, and on the back of that success soon up to 10,000 Australian punters a week were using the service. With the birth of the internet Phoneform developed into Aussieraces.com. Since 2006 Aussieraces.com has been at the forefront in providing high quality racing information for Australian punters. Aussieraces.com has also been a leader in horse racing research. This research has covered all aspects of the racing industry. In 2012 we released the findings from our ground breaking study the 'Australian Horse Racing and Betting Survey' which explored punters’ experiences with corporate bookmakers, the TABs and Betfair. This solid back ground in horse racing has provided Aussieraces.com with great insight into racing analysis and the industry in general - and will give you the utmost confidence that you are getting your racing information from a truly knowledgeable and reliable source.